Carpet cleaning in Cinnaminson Township New Jersey is simple when you call I Clean Carpet And So Much More LLC to clean your carpets using the most effective products and methods. Also known as "Steam Cleaning", hot water extraction by I Clean Carpet And So Much More LLC, is the cleaning method nearly all carpet manufacturers and carpet fiber producers recommend as the most effective way to care for carpeted surfaces. 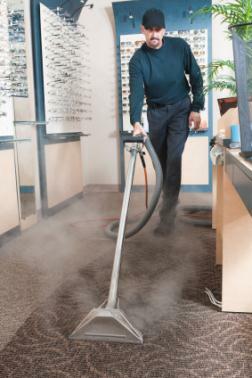 Hot water extraction blasts a powerful spray of hot water solution into your carpet, knocking dirt and dander from carpet fibers and quickly sucking them, along with the water, back up with a powerful industrial grade vacuum before any of it can settle. Thoroughly cleaning your Cinnaminson Township carpet. Embedded in your carpet are minute pieces of dirt, hair, dead skin and more. There are many ways to clean your Cinnaminson Township carpet, but you should demand the method recommended by most carpet manufacturers to clean your carpets in Cinnaminson Township: hot water extraction. Yes, you can achieve some of these results by renting a steam cleaning machine from your local hardware store and trying it yourself. If you have ever attempted this you probably know that rental machines lack the strength to remove all of the water from your carpets after cleaning them. The result is carpet that is wet for days and has residual cleaning solution embedded in it, which can damage fibers. I Clean Carpet And So Much More LLC utilizes powerful, state of the art carpet extraction machines that remove almost all of the water, resulting in clean carpets that dry within hours, not days! Hot water extraction is frequently called "steam" cleaning due to the fine spray of hot water used to force dirt out of the carpet which is sucked up by the vacuum slot immediately in front of the spray. I Clean Carpet And So Much More LLC's process for Cinnaminson Township carpet steam cleaning consists of spraying a solution of hot water and detergent into the carpet pile and recovering the water and soil with a powerful vacuum into a holding tank. Call (267) 495-5188 for a free hot water extraction for your Cinnaminson Township carpets.